There’s no shortage of ways to get outside in Washington. Whether you’re hitting the trail, the links, or just the great outdoors, the last thing you want to worry about is whether your insurance policy has you protected. Shea Insurance can help you get the specialized coverage you need for your specialized vehicles. We can help you protect your investment and let you get focus on having fun. Let us help make sure you’re covered when you hit the trail. Talk to us today to find out how to get the best price and value on the Washington motorsports insurance that’s right for you. Want to find out more about your Off Road Vehicle Insurance options? 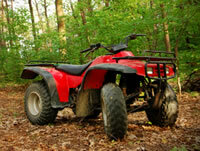 We can find discounts on off road vehicle insurance you may not find on your own. Give us a call, or get an off road vehicle insurance quote online today.